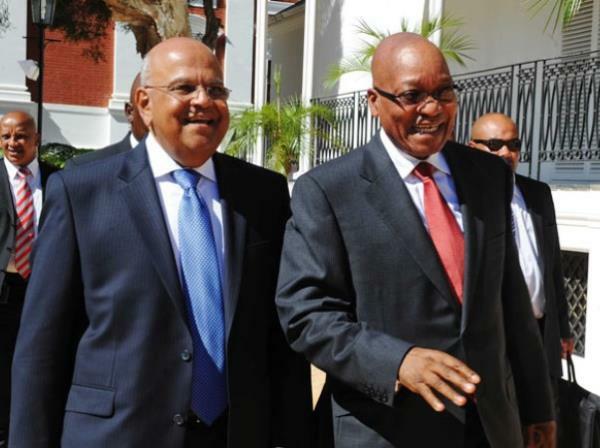 Suspicions that President Jacob Zuma’s cabinet reshuffle is at hand, were further fuelled on Monday morning when it was revealed that Pravin Gordhan was given an urgent order to return to South Africa from London. The minister of finance and his deputy, Mcebisi Jonas, were told by the government to cut their trip to London short. The pair were there to market South Africa to international investors. They were set to travel to London and the US. The government apparently at first encouraged the two officials to undertake the trip to lure international investors, but later withdrew their approval for the trip without giving any reasons reports the Daily Maverick. Fears that President Zuma’s cabinet will reshuffle have been doing the rounds especially after the controversial former Eskom boss Brian Molefe was recently appointed to cabinet. There are speculations that Mofele could take either Gordhan or Jonas’s position, should the reshuffle take place. The news that Gordhan and Jonas were asked to immediately return to South Africa has only added fuel to the fire. President Zuma stated during a 7 February business speech that he has no immediate plans to reshuffle the cabinet.